In addition to our core curriculum, we are proud of the enrichment opportunities students have here at Beresford. Art program: All students in grades K-5 receive 15 weeks of specialized Art instruction from a Credentialed Art Teacher each year where they learn how to draw, paint, sculpt and design. They study famous artists, learn technique, and celebrate their work at the Spring Art Show each June. Physical Education Program: All students in grades K-5 receive physical education four days a week with a specialized PE instructor. Music Program: All students in grades K-4 receive music education through the Music for Minors program. Students in grade 5 receive instrumental music. Technology: All students in grades K-5 receive Computer/Technology education in the classroom and have regular weekly times in our computer lab. Students in grades 3-5 work on projects, curriculum programs and other educational activities on the Chromebooks in their classrooms, as well. 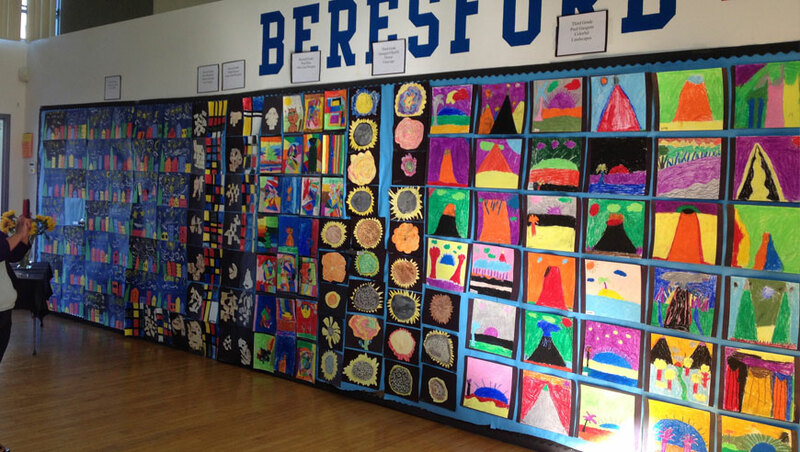 The Beresford PTA organizes a variety of after-school enrichment programs for children in all grades. There are a variety of programs such as; Mad Science; Legos; Painting; Architecture; Basketball, and more. We offer two classes right after school on minimum day Wednesdays.